The Ziland Slalom Pole and Heavy Rubber Base Set is a superb football training aid. Good quality, versatile poles, ideal for football training. 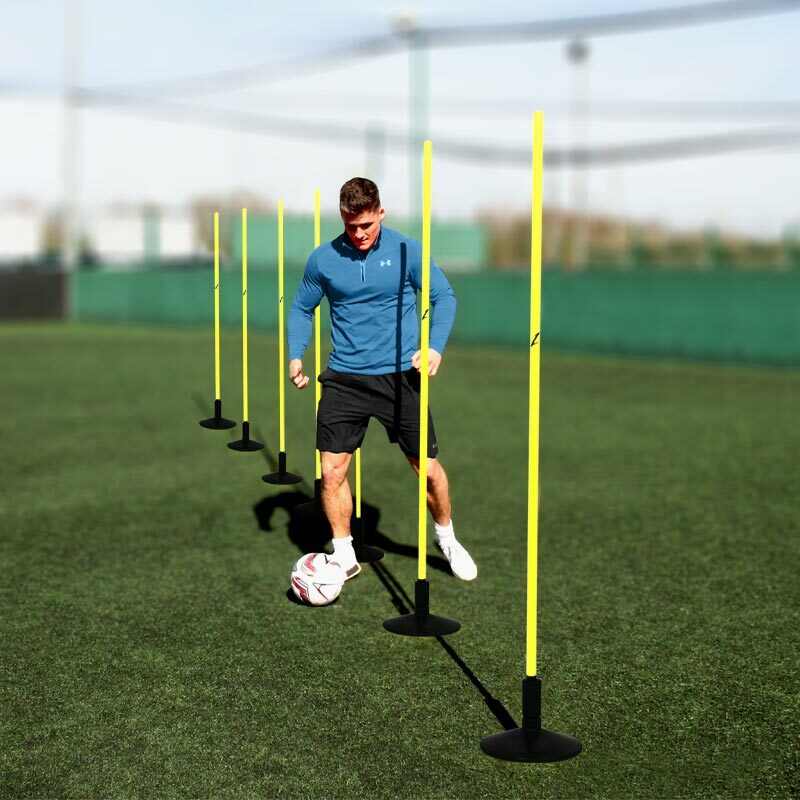 Slalom poles are great for close control ball skills and general fitness drills. If you want to improve your game, spike slalom poles with bases are a fantastic tool. 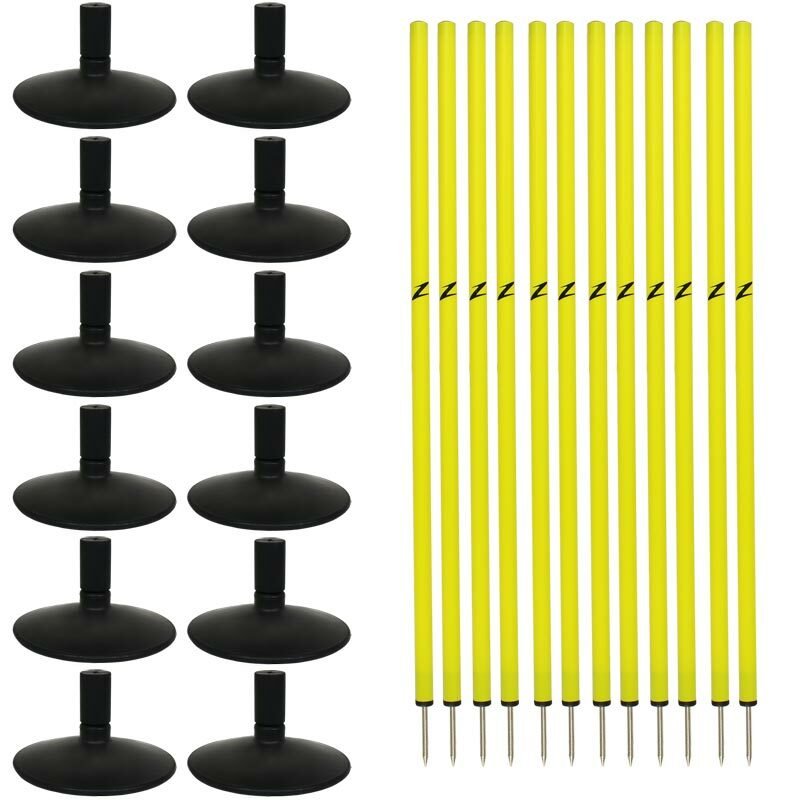 12 x Heavy Rubber Pole Bases. 1 x Nylon Holdall (will hold 12 poles only not bases). 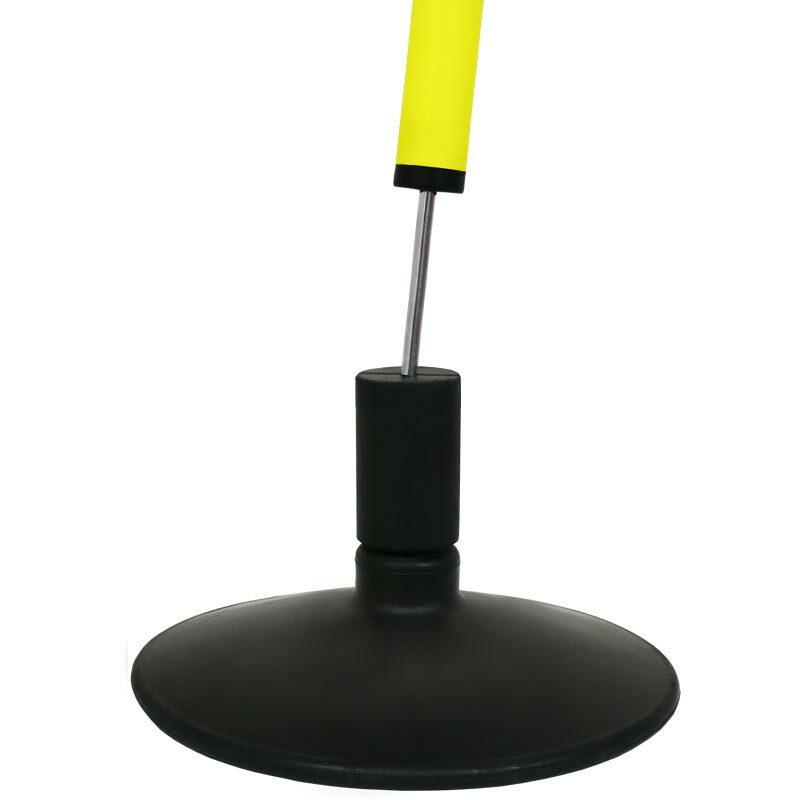 Weighted solid black rubber base that ensures your poles won't blow over in high winds.